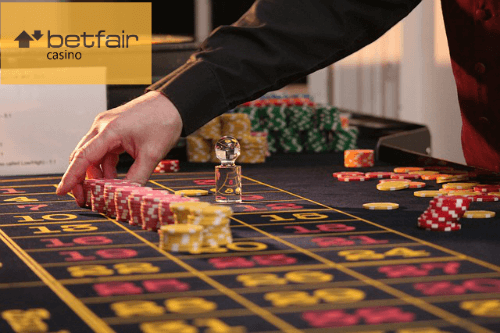 Betfair Casino is a New Jersey based online casino that takes a lot of the positives of Betfair’s international entity and caters it to the American audience. They have several Betfair casino bonuses available to take advantage of, to make your experience there a more positive one by giving you the chance to win big with their money before risking your own. Betfair has a couple of different casino bonuses available to new players. Their first bonus comes in the form of a no-deposit $10 free registration bonus, that credits players $10 as soon as their account is created. Their other bonus comes in the form of a 100% deposit bonus, good for up to $1,500. Everyone loves to be welcomed somewhere with a gift. Well, Betfair Casino has done just that by offering new players a $10 registration bonus, which does not require a deposit. This means that players get $10 just for creating an account, and can use that $10 to win in the Betfair Casino before they even have to put a cent of their own funds into the site. This is a great way to get started with Betfair Casino. To get the no-deposit welcome offer from Betfair Casino, all you have to do is create an account. It’s that simple! There is no complicated process or promo codes to enter as you sign up for the site, as the funds are simply placed into your account once you have successfully created it. Not only is this great from a financial perspective, but the convenience and ease of benefiting from this bonus leave a great first impression for new players. New players need to make sure that they follow Betfair’s terms and conditions when attempting to claim their no-deposit sign-up bonus. Failure to do so will disqualify a player from benefiting from the promo, and will leave them unable to receive their free $10. Review the rules of Betfair casino so you know how to sign up at the site. The first thing to note is your location. Players are only able to benefit from this promotion if their location is within the state of New Jersey. Even if a player signs up for a new account in another state, Betfair will notice this and will not allow them to be credited with their free $10. Since real money games can only be played within the state of New Jersey, this decision makes sense for obvious reasons. Players must also be age 21 or older. Only new players are eligible to receive this no-deposit sign-up bonus, with existing players disqualified from taking part. The funds are credited automatically into the account of a player who follows the rest of the terms and conditions, without the need for any type of promo code. These funds can be wagered on any Betfair Casino game, and can be withdrawn as soon as a player makes a real money deposit within the site, without any further playthrough requirement. 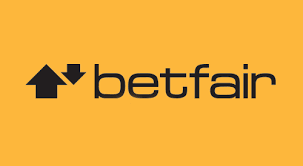 New players at Betfair Casino can also receive benefits on the first deposit that they make within the site. Players can have their first deposit doubled, up to $1,500 thanks to a 100% first deposit bonus from Betfair Casino. This is a lot of funds to add to a player’s bankroll, which opens up the possibilities for big winnings in the future for them. All players have to do to claim their Betfair Casino first deposit welcome offer is create an account with Betfair Casino, and make a deposit worth anywhere between $10 and $1,500. Sign up with the latest promo codes for the best deal of the moment. Upon doing so, a 100% bonus will be added to that amount automatically by Betfair Casino, with no need to put any sort of promo code into place. Unlike the no-deposit bonus that Betfair awards players for starting an account, there are some more stringent wagering requirements in place for this bonus offer, which is to be expected given that it could be worth up to $1,500 for new players. The playthrough requirement for this bonus is 20x, meaning that if you deposit $100, you would need to wager $2,000 in order to be eligible to withdraw your funds. In addition, certain casino games are worth more than others when they are being counted toward your wagering requirements. Slots wagers are counted 100% toward a player’s wagering requirements, while roulette counts at a 50% rate, and all other table games count at 10%. This is worth noting, should you be a blackjack player, as you would be required to wager 10 times what a slots player would in order to meet the 20x wagering requirements, putting you at a 200x wagering requirement when you do the math. Betfair Casino’s VIP Club can be joined upon request, as Betfair Casino needs to review your qualifications before admitting you. 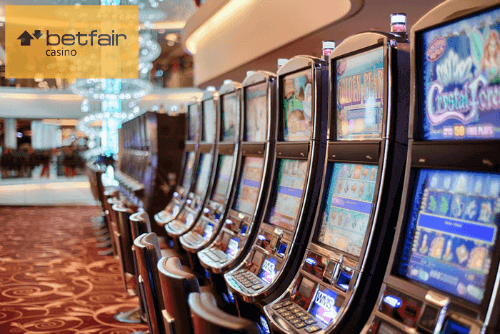 Should you receive admission after contacting Betfair, you can receive invites to VIP events, casino bonuses, gifts, and comped nights in Atlantic City hotels. To participate in the Betfair VIP Club, simply contact Betfair Casino so they can start the review process. To find out what terms and conditions exist for VIP members, players should contact Betfair directly.